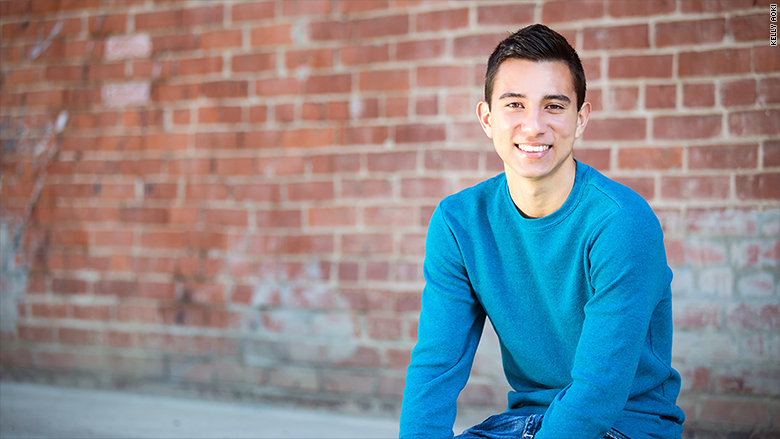 Gage Marquez's dream is to become the first in his family to go to college, get his degree from the University of California at San Diego, and eventually become a cardiologist. He nearly cried tears of joy when he found out he got in. But then he and his parents took a look at the financial aid award. He was given a grant for a little less than $3,000. And the school, which determines how much a student can take out in federal loans, will let him borrow just $6,800. That still leaves his parents with a bill of $18,000 for the first year alone. Now, not only does Gage face borrowing more than $27,000 over four years, but his parents will need to take out about $72,000 in higher interest loans. Paying $18,000 out of pocket per year is more than his parents Stacy and Alfred Marquez can afford. On an income of less than $100,000, there's not much left after paying the mortgage, two car payments, health care premiums, braces for their eighth-grader, and food for three boys. The family also has high medical costs, since one of Gage's brothers has a learning disability and the other has a heart condition -- which inspired Gage's interest in cardiology. His mother, Stacy, has stayed home to raise her boys. "At the end of the month, I'm lucky if there's $10 left in my checking account," she said. The Marquez family once had some savings put away for college. But they had to live off that money when Gage's father, Alfred, lost his job during the recession. He's back at work now, but earns less than he used to and he doesn't get health care benefits. "We are very blessed and make a decent living, but when it comes to college we feel poor," she said. Financial aid award letters are typically sent out in late March or early April and most students have until May 1 to decide where to enroll. The Marquez family probably wasn't the only one surprised to find out just how much they'd have to pay for college. While colleges advertise their "sticker price," many families expect to receive need-based financial aid in the form of grants and student loans. The amount they are awarded is based on what the college estimates they can afford and is supposed to help fill in the gap. But some middle and upper-middle class families find that what the college expects them to contribute is more than what they can afford. "We generally hear that schools attempt to meet the full need for students from families whose household income is below $75,000," said Joe DePaulo, the founder of College Ave, which offers private student loans to families who find themselves in this funding gap. As family income increases, aid declines. Very little is offered once incomes approach $200,000, DePaulo said. Colleges don't say exactly how they will make this determination, but it depends a lot on the information you submit on the FAFSA form. This includes things like your income and assets -- but not necessarily your home value. College financial aid offices may also consider things like how many children in a family are enrolled in college and how close the parents are to retirement age. Gage was accepted to several other schools that offered similar financial aid packages, including one that would be about $5,000 cheaper a year, but doesn't offer the specialized program he's looking for. Despite the cost, Gage enrolled in UC San Diego because he believes it will give him the best shot at getting into medical school. To make it work, he's been applying for scholarships. With his long list of activities -- track and field captain, Key Club, Kiwanis Club, National Honor Society -- he's hoping to get something. "I applied to close to 100. I wish I was exaggerating," he said. And Stacy is appealing to the school's financial aid office. She's gathering up all their medical bills from the past year to demonstrate her family's added expense. Next year, Stacy plans on going back to work to help with the payments, but the family will likely still have to take out some loans. There are a handful of loan options available for families. While federal student loans come with fairly low interest rates (about 4.3%), the college limits how much a student can borrow. Parents can borrow additional money from the federal government through a PLUS loan, but at much higher rates: 6.8% last year. Some federal loans come with origination fees, too. The school itself may also offer parent loans. A private loan should be a last resort since they usually come with high interest rates. Lenders like Sallie Mae, Citizens and Wells Fargo offer parent loans and so do some online lenders like College Ave.
A home equity loan may also be a good option, since it may come with a lower interest rate than a student loan. 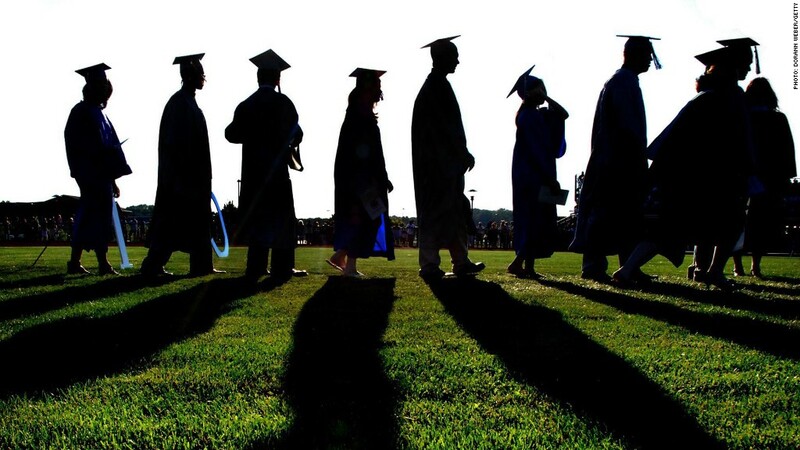 Were you able to pay for college without taking out loans? Share your story with CNNMoney by emailing Katie.Lobosco@cnn.com.